When you stay at our rental cabins in Strawberry, AZ you will find that there is plenty of fun & exciting things to do. Located near Flagstaff, Pine, Payson, and other popular vacation spots and cabin rentals in Arizona, we are close to just about everything! See below for some of our local attractions. This is a really neat little place to bring the kids for a ton of fun catching Rainbow Trout. For a very nominal fee they equip you with everything you need (pole, line, hook, bait) to go out to one of their stocked ponds and reel em’ in! It’s a sure bet the kids will be catching some nice fish and in the world of fishin’ there are very few places that are a sure bet! You can get all the info you need, including prices and directions, from their website at www.ranchotonto.com. Hike along the Verde River to a natural hot springs. Two pools of water built on the side of a mountain which used to be a resort years ago. The outside pool is about 95 degrees and the pool inside the rock hut is well over 100 degrees. This place is good for a day hike or even an overnight pack trip. There are some good campsites along the trail to the hot springs. For more information, click here. NOTE: The road (FR 708) from Strawberry is closed until April 15, 2015. Visit the world’s largest known travertine bridge. We have a description on our hiking pages. 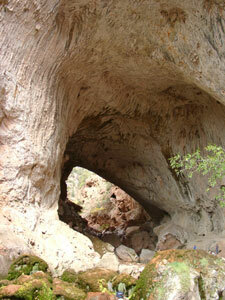 If you have never seen this natural bridge, it is an Arizona must see. It does require hiking steep trails, but they are short and the view of the waterfall and the natural bridge are worth it. Since the time of the Incas, llamas have patiently carried their packs across some of the roughest terrain in the world. Today, as the effects of increased recreation on our public lands become more evident, llamas have emerged as preferred pack animals when surefootedness and minimal impact are necessary. For more information, click here. The schoolhouse was built in 1885. Classes were held until 1916. It is the oldest standing one-room schoolhouse in the state of Arizona. It takes only ten to fifteen minutes to see and it is neat to see. Visitors are welcome on weekends May through September. Special events are scheduled at the school house throughout the summer. Visit the Pine-Strawberry Historical Society’s web site for more information. Houston Mesa Road, just north of Payson on Highway 87 takes you past several small communities as well as the East Verde River. Shoofly Indian Ruins is just a few miles down the road, and will take you back thousands of years. For more information, click here. This museum is located in Payson’s Green Valley Park. It is operated by the Northern Gila County Historical Society. The museum preserves the natural and cultural history of the region. Exhibits feature ancient peoples of the area (the Tonto Apache), the Calvary and pioneer period along with other eras of Payson and the rim country. On the grounds of the museum are the original Forest Ranger Station, the top of the Mount Ord Watchtower, Payson’s first fire-fighting equipment and fire truck and a bronze memorial statue honoring firefighters who lost their lives fighting forest fires. (928) 474-3483. 700 Green Valley Parkway in Payson. Directions: Turn right from our driveway onto Hwy 87. Drive south about 17 miles to Main Street in Payson turn right and follow it back to Green Valley Park. Fossil Creek, one of two “Wild and Scenic” rivers in Arizona, seems to appear out of nowhere, gushing 20,000 gallons a minute out of a series of springs fed by the cliffs of the Mogollon Rim. Over 30 million gallons of water are discharged each day at a constant 70 °F. Throughout the years these calcium laden waters have laid down huge deposits of a material called travertine. That rock-like substance encases whatever happens to fall into the streambed – forming the fossils for which the area is named. Most people come to Fossil Creek to swim, sunbathe, wade, hike and bird watch. It’s also a great place to take photographs. The lushness of the riparian area strikes a sharp contrast to the brittle desert that surrounds it. Many plants and wildlife depend on Fossil Creek for habitat, including otters, beavers, leopard frogs, and common black hawks. While you’re here, keep an eye out for javelina and deer. Both are abundant in the area. In 2005, Arizona Public Service (APS) decommissioned the Fossil Creek Dam and Flume, restoring full flows to Fossil Creek. In 2009, Congress designated Fossil Creek as a Wild and Scenic River to protect the river’s amazing attributes for years to come. The Forest Service is mandated to develop a Comprehensive River Management Plan (CRMP) that will analyze existing conditions and prescribe management designed to protect the area. Fossil Creek has a number of Dilzhé’é (Western Apache) cultural sites. The Dilzhé’é lived along Fossil Creek for generations and several families consider this to be their homeland. NOTE: The road (FR 708) from Strawberry is closed until April 15, 2015. The Fossil Creek hiking trail is still open. This is a 4-mile hike each way. Please go prepared with supplies, food and plenty of water. From Cabins on Strawberry Hill, take Highway 87 south ¼ mile and turn west onto Fossil Creek Road. Continue approximately 4 miles (past all homes). The turn off to the trailhead lies to the right off of the dirt road. Parking is limited, so arrive early. This museum is located in the heart of the village of Pine on Hwy 87. It is next to the Cultural Hall, Sr. Center and charity thrift shop. The collections of unique items are interesting to see and explore. “My beloved Arizona” was the term of endearment Zane Grey bestowed upon this state. Its history and people inspired his western novels. Its game and landscape impassioned his zeal for the wild and its rugged natural beauty stirred his introspective soul. He wrote 13 novels about the “Rim Country” and often hunted in its forests and fished in the lakes that surround Payson. For more information, click here. Fort Verde was an active military post during the 1870-1880 Indian Wars. Four original buildings remain. There is also three officer’s quarters and the headquarters which contains a museum recalling the fort’s history, its soldiers, and the Indian scouts. Fort Verde Days are celebrated each October. (928) 567-3275. Because the Verde Valley is over 3,000 feet lower in elevation than Cabins On Strawberry Hill resort, it is significantly warmer year round. Payson has some of the finest golf courses in the nation. Two private courses, Chaparral Pines and the Rim Club, have received national notoriety. Payson Golf Course — the town’s only municipal course — is at the end of Main Street past Green Valley Lake and also is a wonderful course to play. For more information, click here. The 277 mile long canyon is a geologic and wildlife area with spectacular forest above the desert. 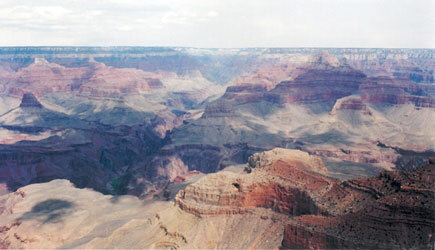 The canyon’s South Rim is open year-round. The more spectacular North Rim is open from mid-May through mid-October, depending on weather (snow). The canyon is 150 miles northwest of Strawberry. Although our guests frequently travel up and back in one day, we recommend that you spend the night and enjoy the famous sunrises and sunsets the Grand Canyon has to offer. Directions to the South Rim: Turn left onto Hwy 87 proceed 19 miles to Clint’s Well. Turn left on Lake Mary Road (Hwy 3) and drive to Flagstaff. Drive underneath I-40 and through Flagstaff following the signs to turn left on Hwy 180 to the South Rim entrance. In order to help American Settlers, the Army established outposts at Fort McDowell, Fort Verde, Camp Reno, Fort Apache, and Camp San Carlos. General George Crook, established a supply route along the Mogollon Rim. This route became one of the first major roads in Arizona and for decades was used as a supply and communications route, as well as a patrol route for monitoring the western Apache. Today the trail is multi-use and popular with equestrians and mountain bikers as well as hikers. This 286 acre park, named for the surrounding fiery-colored cliffs of Oak Creek Canyon, is a protected riparian habitat. The park’s environmental education center is open daily, and hiking and nature programs focus on the wildlife along Oak Creek. A self-guided ethno-botanical nature trail is a park highlight. 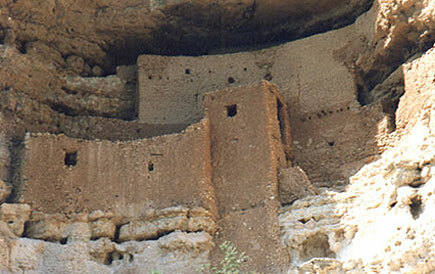 Follow the directions to Montezuma Castle and continue on I-17 north to Hwy 89 follow the signs. The candle factory has become a favorite destination stop for visitors, not only from the states, but from all over the world. The Production Room is where visitors can come to see them make candles. The room is equipped with 4 stainless steel candle tanks for pouring molds and the dipping/carving of Novelty and Sculpture candles. For more information, click here. The cemetery began in 1882 with the burial of two members of the Meadows family who were killed by Apaches. Much of the local history is represented by the pioneer families buried here. In the springtime, the cemetery is ablaze with wild flowers. For more information, click here. Arizona Game and Fish department manages this trout hatchery. The hatchery offers free self-guided tours. There are holding tanks shaded by canopies and ponds with larger trout ready to stock. Located at the end of Forest Service Rd. 289 on Tonto Creek. Directions: Turn right on Hwy 87 and go south to Payson. Turn left (east) on Hwy 260. Drive for about 15 miles then turn left onto FR 289. Follow the road to the end and park in the parking lot. Walk up the hill to the canopies and pond with the huge show trout. Some 300 million years ago most of Arizona was covered by shallow seas 40 to 50 feet deep. A host of invertebrates like modern-day shrimp and crabs swam in the ocean, sometimes huge winged insects were everywhere — no change there — and odd-looking amphibians had the run of the place — although they had to share quarters with a growing variety of semi-aquatic and terrestrial reptiles — which included the ancestors of modern crocodiles and the first dinosaurs. The Paleo Site just off Highway 260, some 12 miles east of Payson just before the Kohl’s Ranch turnoff. The narrow and deep limestone canyon holds the ruins of more than 80 cliff dwellings built 1150-1250 A.D. by the Sinagua Indians. 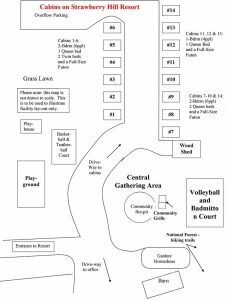 Picnic areas, hiking trails and a visitor center are on-site. Ranger discussions are held daily. Directions: Turn left going north on Hwy 87 19 miles to Clint’s Well. Turn left onto Hwy 3 (Lake Mary Road) and travel to I-40 in Flagstaff approximately 48 miles. Enter I-40 east bound and exit 9 miles east of Flagstaff at exit 204. (928) 526-3367. The Battle of Big Dry Wash was the last battle fought between the Apaches and army regulars. It was also one of the few times that army soldiers fought and bested Apaches in actual battle but this was mainly because, as one historian noted, it was one of the few instances in which Apaches allowed themselves to be drawn into conventional battle. For more information, click here. A 35,000 square foot 24 hour casino located on the Tonto Apache reservation at the southern edge of Payson, is about 19 miles from the resort. Slots, Video Poker, Poker, Bingo, Keno, restaurant, and shows are offered. Call 800-777-7529 for schedules and information. A non-smoking section of the casino opened in 2001. The casino is about a twenty-five-minute drive from our resort. In a place like the Rim country — with a rich and storied past — you’d expect the antiquing to be outstanding and you won’t be disappointed. For more information, click here. is about a 45-minute drive located in the Verde Valley region. Take the General Crook Trail to I-17. Go north on I-17, then exit at exit number 289. They have shows, gaming and restaurants. Call (928) 567-7660 for show and restaurant information. Combined with seeing Montezuma’s Castle ruins, this makes for a fun day. This scenic location is in the high desert. It is in the northern portion of Petrified Forest National Park and extends into the heart of the Painted Desert of northeast Arizona, a colorful fantasyland of mesa, buttes, and badlands. This is a designated wilderness area so no mechanized travel is allowed. A trail leads from the park road near the Painted Desert Inn. If you walk even a short distance, you will leave almost all the tourists behind on the busy road, and enjoy an experience of beauty and solitude. The area you see is the “Chinle formation”, a very soft layer of earth consisting mainly of mud, sandstone, and volcanic ash. The softness allows for fantastic erosion effects as well as colorful staining by mineralized water flows and mineral deposits over millions of years. As the Painted Desert erodes, the fossilized artifacts from the Triassic era (220 million years ago) become exposed, the remains of an ancient conifer forest. This is the world’s largest and most beautiful concentration of petrified wood. Look carefully as you walk through these soft clay hills. They are in a constant state of erosion, and you could discover some prehistoric fossil just becoming exposed. The elevation, combined with a lack of pollution, makes Rim country’s skies among the clearest in the nation. Those who enjoy stargazing will find the area spectacular on a clear, fall night. For more information, click here. Petrified Forest National Park is a surprising area of scenic wonders and interesting geological science. It is comprised of two main areas. The park’s southern section is home to one of the world’s largest and most colorful concentrations of petrified wood, as well as natural log bridges and 225 million year old fossils. 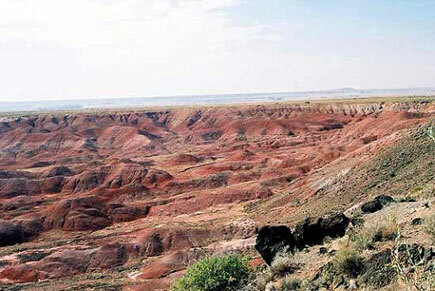 The park’s northern section includes the Painted Desert. The Rainbow Forest Museum which showcases the park’s petrified wood, is near the southern entrance off of Hwy 180. The visitor center is located at the north entrance off I-40. This national park is about a two hour drive northeast from our resort. Turn left from our driveway and proceed to Winslow., enter I-40 east bound. In Holbrook take the exit to state route 180. Stop for a snack and relief. Follow the signs. Petrified Forest stretches between State Route 180 and Interstate 40. It takes roughly two hours to drive the 25 mile scenic drive from the south entrance to the Visitor’s Center near I-40. To return to our resort first take I-40 west to Winslow. Then take State Route 87 to our resort. I do recommend that you combine seeing the Painted Desert and Petrified forest in one day trip. See our links page for more information. Plan on taking an ice chest with you especially in the summer it typically is hot, dry and windy. People coming from moister climates dehydrate without realizing it. Then you feel fatigued and depressed without knowing why. If you wait to feel thirsty then you will be dehydrated without knowing it. Diamond Point Lookout is a great place to walk around and see if you can find Diamond Quartz Crystals. Smaller pieces are exposed to the surface after a heavy rain and are easy to find. Diamond Point Lookout offers panoramic views of the valley below. For more information, click here. Encompassing 300 archaeological sites on more than 4,000 acres, this historic park protects Anasazi ruins still sacred to their descendants, the Hopi Indians. Two large, 14th-century pueblos are open to the public, and visitors may hike past kivas, pit houses, and petroglyphs. Archaeologists are on-site in June and July, and interpretive programs are offered. Directions: Turn left and head past Winslow to I-40 exit from I-40 on exit 257 east of Winslow. (928) 289-4106 This is also near the Painted Desert and Petrified Forest. Payson has always been a rodeo town; in fact many of its early residents say it was the “birth place of rodeo”. Since 1884 it has been home to the “World’s Oldest Continuous Rodeo. These rodeos never fail to provide excitement and thrill, for the participants and spectators. From bronc busting to bull riding to the rodeo clown, there is suspense, anticipation, and excitement for everyone involved. For more information, click here. This passenger train makes daily excursions from near Clarkdale through a magnificent canyon. For more information see their web site www.verdecanyonrr.com. Call or stop by our office and we can call and make reservations for the train for you. Drive time about 75 minutes to the depot. You may receive future messages from azcabins.com after submitting this form.